PENCILLERS: Hendry Prasetya, Corin Howell. 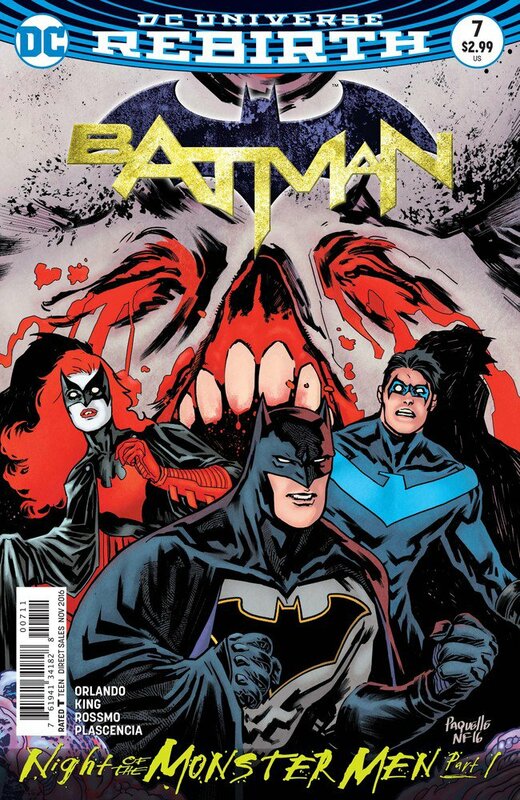 Cover by Jamal Campbell. Can we talk about the Power Rangers movie for a second? They’ve started showing the trailer in theaters, and a few days ago we got our first look at the movie’s Alpha 5 (yuck). For better or worse, it looks very much in the same vein as the darkened, CGI overhauls that franchises like Transformers, G.I. Joe, and Teenage Mutant Ninja Turtles got. As such, it looks big, epic, mostly serious, and only slightly like the show I watched as a kid. As a longtime Power Rangers fan, that’s disappointing. I bring this up because, like the movie, this Mighty Morphin Power Rangers book from BOOM! Studios is also big, epic, and serious. At one point in this new issue, the Tommy character finds himself in a life-threatening scenario. Thinking these are his final moments, he starts to ask the other Rangers to tell his mother that he loves her. That’d be a pretty intense moment for a Saturday morning kids show. But it works here. In fact, most of what we’ve seen in this series works. 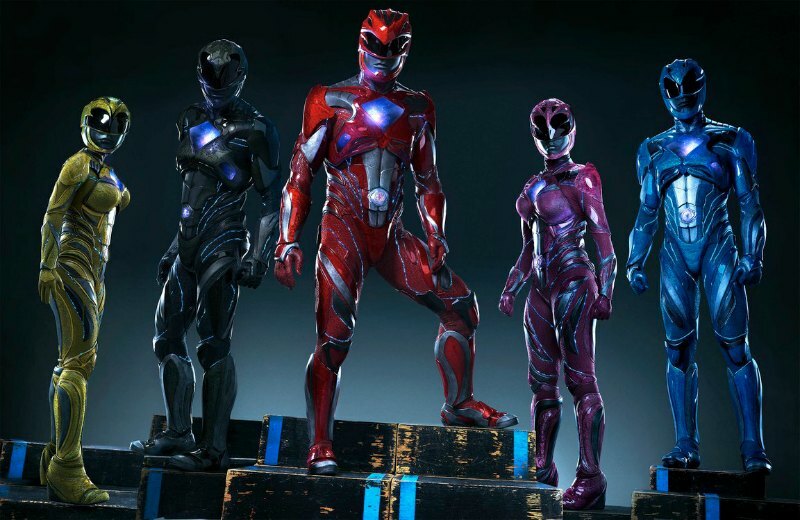 So why does MMPR work, but the Power Rangers movie looks so contrived? I think a lot of it has to do with what seems to be an affection for the source material. Kyle Higgins, Hendry Prasetya, and this team are looking at this world through a different lens. But it still feels like the world and characters that we know. Everyone is in the same role, everyone looks and talks (mostly) the same, and the suits and zords are the same. But it feels like we’re breaking new ground. This series almost feels like magically finding a new room in a house you’ve lived in for years. Whereas the Power Rangers movie feels like a different house, built to vaguely look like the old one. 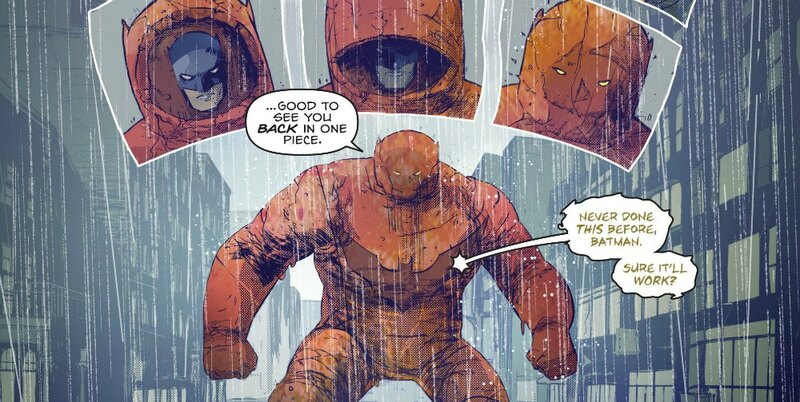 Even when we’re introduced to an element exclusive to the book, it feels like it’s cut from the same cloth as the show. Case in point, Black Dragon, and the mysterious new Ranger we meet at the end of issue #9. 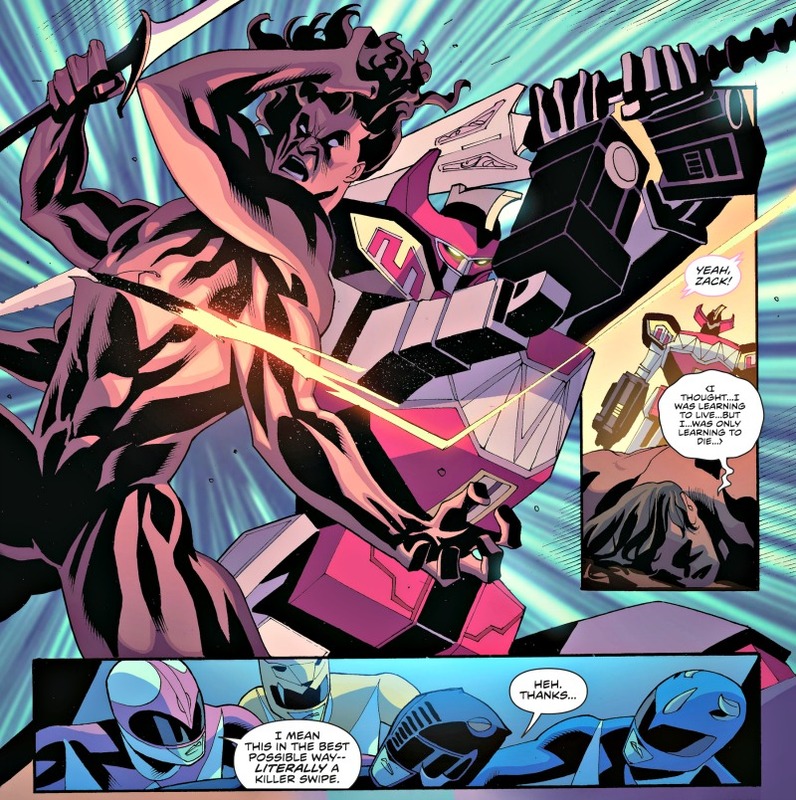 By splitting Tommy’s powers, Jason, Kimberly, Zack, and Trini have regained access to the Morphin Grid. They once again have their powers and words, albeit with a green tint. Now they must rescue Billy from Dark Dimension and defeat Black Dragon. But during the battle, they learn this new enemy is not all that he seems. This new revelation will lead two Rangers to discover a new world of peril. Literally, a new world. The big news from this issue is the introduction of our comfy friend on the right. He’s obviously a mix of the Green and White Ranger (designed by Jamal Campbell), with some nice little additions thrown in. The Black Dragon we’ve seen previously is apparently an empty vessel. 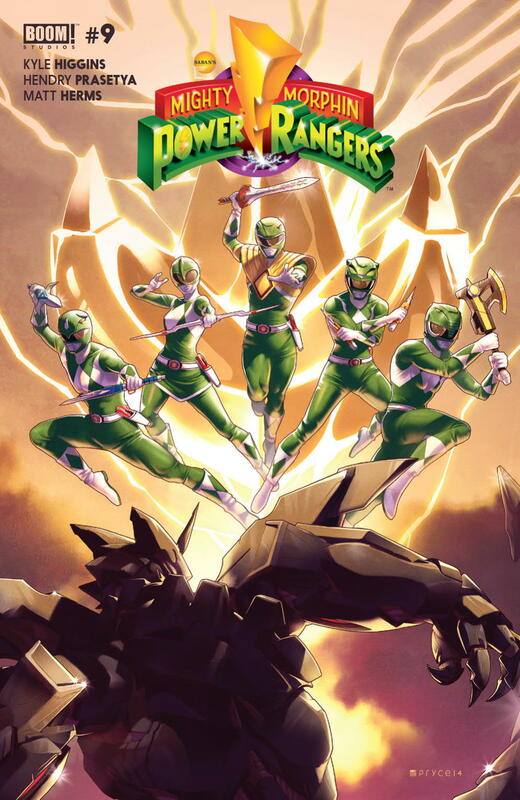 We find this mysterious Ranger in another plane of reality, which is dark and decimated, and features big statues of Rita and the Green Ranger. My guess is this is alternate-Earth Tommy, who was somehow victorious with Rita as the evil Green Ranger, and then turned on her to rule the world on his own. This has been treated as a big reveal, with BOOM! advertising it as the first new Ranger introduced to the MMPR world in over two decades. Indeed, it’s pretty damn cool. With this new Ranger comes a new sandbox for writers and artists to play in, and a boat-load of new story possibilities. I’m guessing (and hoping) this is what Higgins was referring to when he talked publicly about not sticking to the show’s continuity. Turning the other Ranger costumes green is a neat gimmick. Power Rangers fans like little tweaks like that. 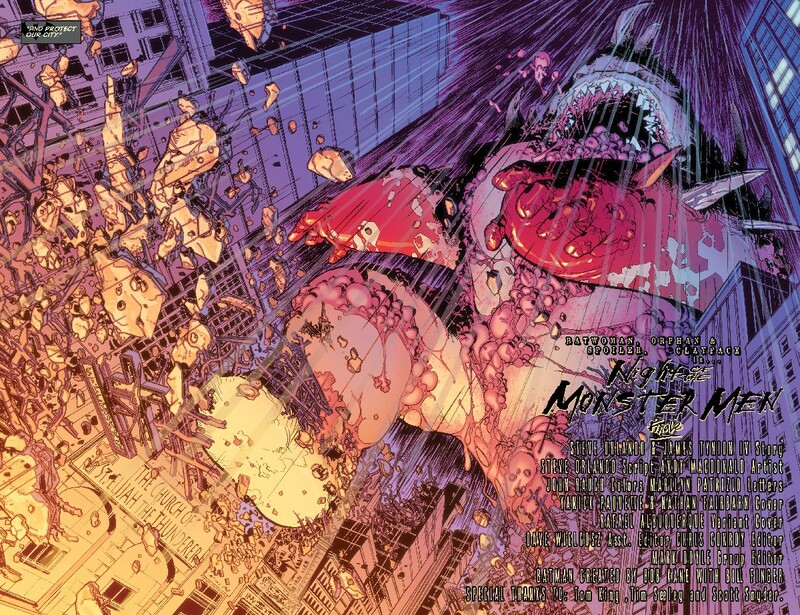 Colorist Matt Herms pulls it off very well, and Campbell even gives it a certain grandeur on the cover. The superhero action stuff is where Prasetya really excels, as opposed to the quieter moments with the teens. So this is a big issue for him. 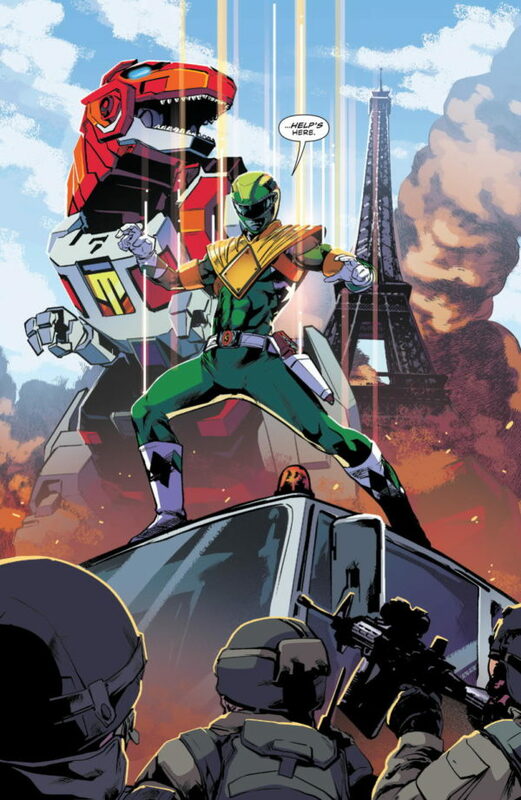 There’s a fantastic splash page (shown below) where the Red-turned-Green Ranger teleports in, with the Tyrannosaurus Dinozord and the Eiffel Tower in the background. There’s a great shot where Black Dragon has his back to the camera as the zords advance. There are also a lot of great little things, like a rubble effect around the Dragonzord’s face when it takes a punch. Higgins also has a nice handle on Goldar. Via some convincing, he actually releases Billy from the Dark Dimension so he can help the Rangers destroy Black Dragon. When it’s revealed Black Dragon is a robot, the idea is to let Billy dismantle him so that Goldar can take his spot back at Rita’s side. 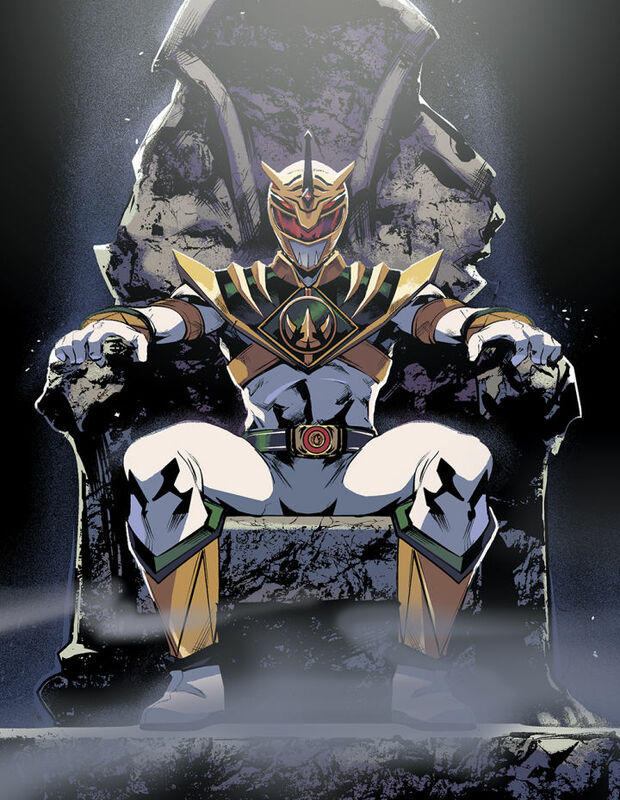 It’s shades of the dynamic he had with Tommy during “Green With Evil.” What made Goldar so intriguing was that while he worked for Rita, and was ultimately loyal to Lord Zedd, he had his own agenda. In this series, and the Pink miniseries, we’re seeing him act on that agenda. The only hole I can poke in the Dark Dimension stuff is why Goldar is so transparent with Billy. Agenda or no agenda, Billy is still his enemy. Steve Orlando and Corin Howell are also back with more Bulk and Skull. While these back-ups haven’t done much at all for me, But the inclusion of Rita in this one offers a little more intrigue. And this story about Rita wanting the boys to control a monster does seem like something that might have happened on the show. I admit, I’ve been nervous about this book since Higgins said that continuity stuff to Newsarama. We’ve got such a good thing going. So when the writer says something like that about the continuity that everybody knows and loves, I get antsy. With this alternate reality stuff, he’s found a nice way to have some fun and sell a lot of comics. I’m just hoping the fun continues. This entry was posted in Uncategorized and tagged Billy Cranston, BOOM! Studios, Bulk & Skull, comic book reviews, comic books, Corin Howell, Goldar, Hendry Prasetya, Jamal Campbell, Kyle Higgins, Matt Herms, Mighty Morphin Power Rangers, Mighty Morphin Power Rangers (BOOM! Studios), Power Rangers, Power Rangers (2017 film), Power Rangers costumes, reviews, Rita Repulsa, Rob Siebert, single issue reviews, Steve Orlando, Tommy Oliver on 12/02/2016 by primaryignition. If you dare to think of the Power Rangers from a semi-realistic standpoint, you come to the conclusion that in some ways, they’d operate like a military operation. What you basically have here are soldiers fighting in an interplanetary war with space-age weapons and giant robots. So logic dictates that you’d have your leader, in the case the Red Ranger, dictate your battle plans while the other Rangers fall in line. Makes sense, right? Of course, logic and realism weren’t the strong points of Mighty Morphin Power Rangers. (I think the my first clue was seeing that blue sky on the moon.) On the show, the Rangers didn’t really operate like that, at least not in the era this book takes place in. Jason was indeed the leader, but it seemed like more of an honorary title. He took on the role, but the Rangers were a team. 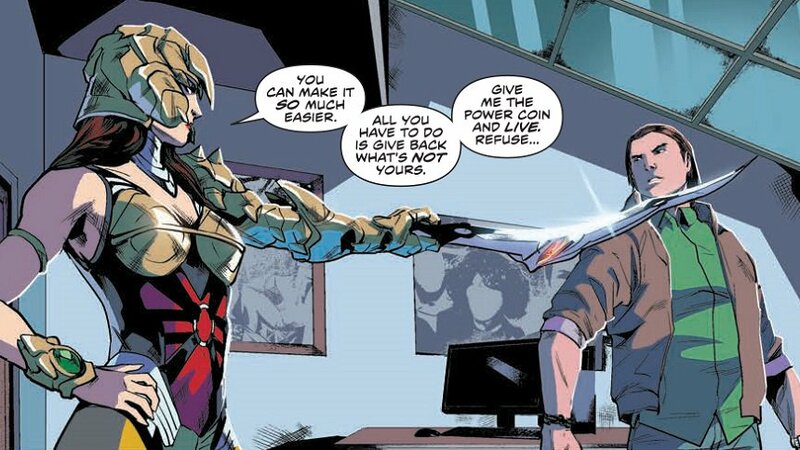 We never heard lines like: “Jason gave you an order.” That’s not the case in Mighty Morphin Power Rangers #4, and it’s a turn-off. The team’s trust in Tommy has been shaken, as he’s revealed he’s having visions of his former master Rita Repulsa. 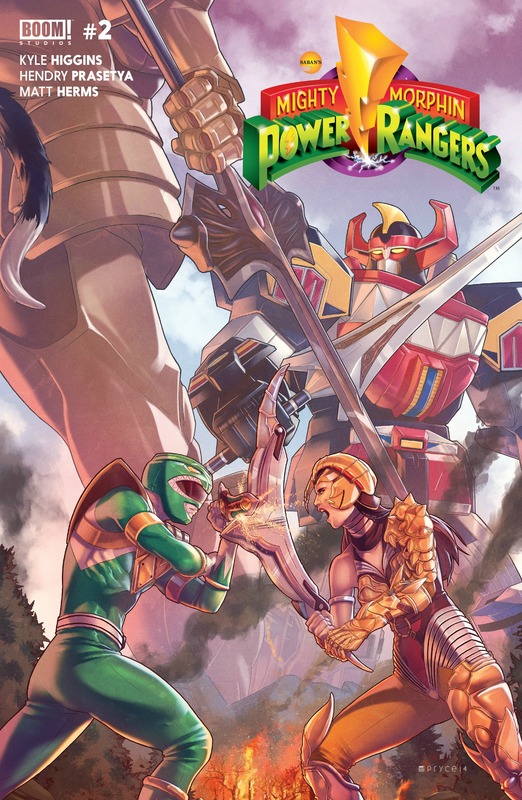 The Green Ranger is benched for the Rangers’ battle against Scorpina and the Dragonzord, which is once again under Rita’s control. But Tommy isn’t one to sit idly by when he knows he can help. The resulting argument will lead to disaster for the Rangers. 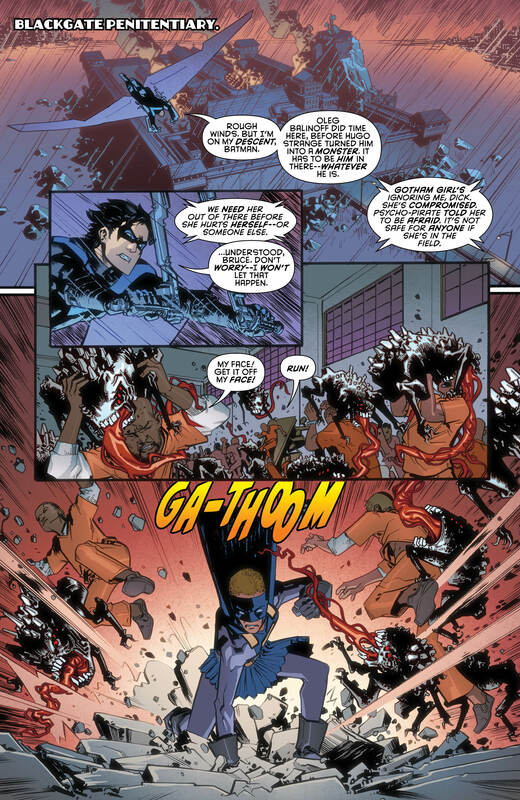 Early in the issue, Jason tells Tommy not to come into the field. As the battle progresses, he tells Zordon he wants to go in, as he’s seemingly rid himself of the visions and can help. Zordon advises him not to, as “Jason has given you an order.” That line by itself is weird. Especially because Zordon says it. He’s the boss, isn’t he? I don’t have a problem with what Jason is saying. It’s how he’s saying it. He almost comes off like a parent disciplining a child. Jason and Tommy, even when they were at each other’s throats, never talked to one another like that on the show. 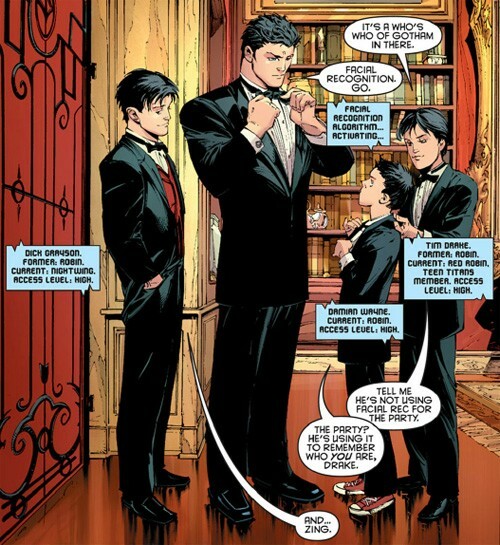 As such, Jason looks like a condescending jerk. I’m wondering if this is being done to establish Jason feeling threatened by Tommy. One might gather that from things he’s said in previous issues. I’m trying to give Higgins the benefit of the doubt on this one. Either way, I don’t like this side of Jason. As we’ve seen in previous issues, Higgins, Prasetya, and the team show us things we never could have see on the show. In the zord fight, we see Green Ranger crash through the eye of the Dragonzord, which is spectacular. 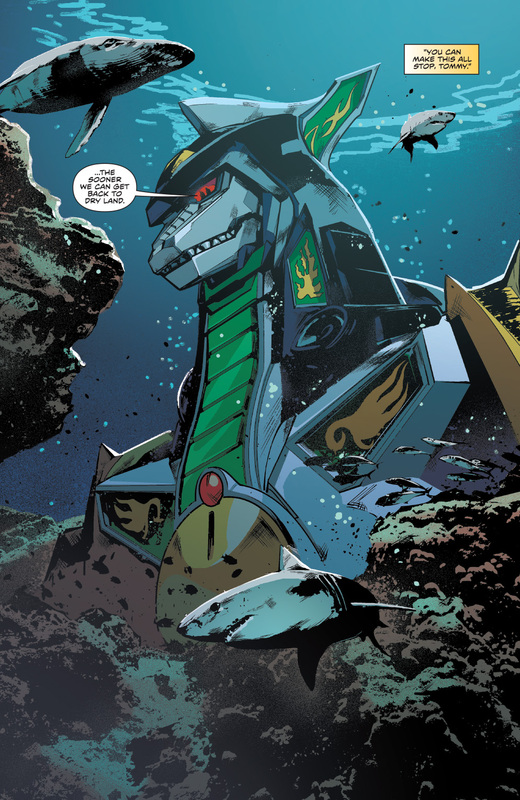 We also learn that the Triceratops zord has an underwater mode. We also see Scorpina in the Command Center. The Rangers restrain her by tying her to a chair, which is downright comical. We’ve seen characters trapped in force fields numerous times on the show, but for some reason Scorpina gets tied down like a damsel in distress. Hendry Prasetya’s performances have been consistent in the five issues he’s done. His take on the Power Rangers and their world hasn’t gotten old. Even simple things, like a shot of Dragonzord walking away from camera and rising out of the sea, manage to be extremely cool. Ditto for a handful of panels where we see the words powering up. My favorite panel in the issue is pretty basic shot of the Blue Ranger in the cockpit of the Triceratops Dinozord (shown right.) 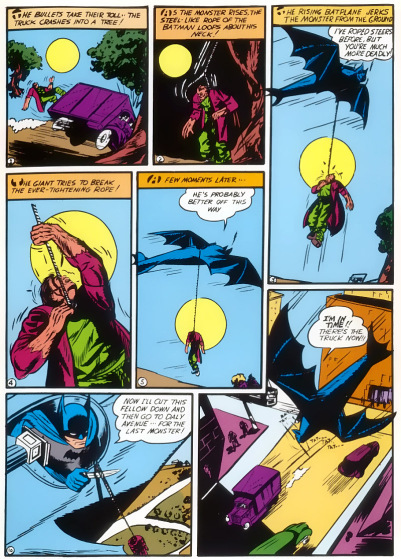 We’d never seen it from that angle before, and it’s panels like this that make this book so fun for longtime fans like yours truly. We have yet another edition of our back-up feature, “The Ongoing Adventures of Bulk & Skull.” I hate to say it, but I’m officially turned off by this. Not because the writing or the art are bad, but because we’ve been on this story since issue #1. Bulk & Skull manage to capture a putty, and use it to try and make themselves look like superheroes. They could have done this in one, maybe two installments. This issue gives us our fourth. If they’re going to keep doing this we need a new story, and we need to quicken the pace. 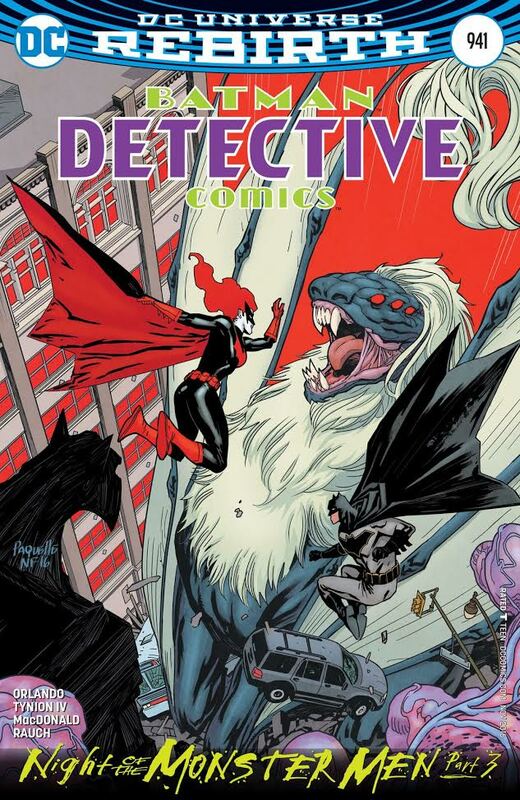 This Jason thing is the biggest hiccup the series has seen so far, but by no means is it a reason to drop the book. Higgins, Prasetya, and the team have got something special, and it’s been consistently good. PR fans have been given a great gift with this series. And by and large, it keeps on giving. This entry was posted in Uncategorized and tagged BOOM! Studios, Bulk & Skull, comic book reviews, Corin Howell, Dragonzord, Green Ranger, Hendry Prasetya, Jamal Campbell, Jason Lee Scott, Kimberly Hart, Kyle Higgins, Megazord, Mighty Morphin Power Rangers, Mighty Morphin Power Rangers (BOOM! Studios), Pink Ranger, Power Rangers, Red Ranger, Rita Repulsa, Rob Siebert, Scorpina, single issue reviews, Steve Orlando, Tommy Oliver, Zordon on 06/29/2016 by primaryignition. PENCILLER: Hendry Prasetya, Corin Howell. 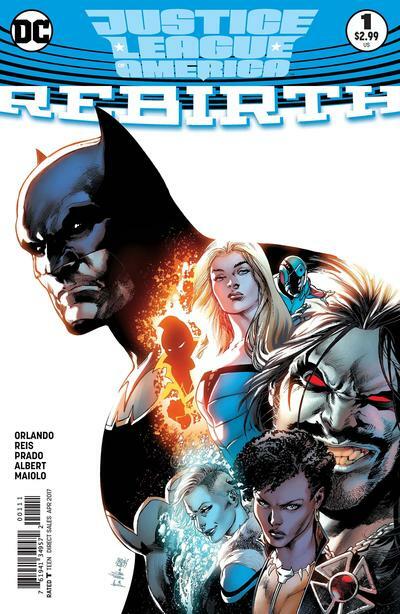 Cover by Jamal Campbell. 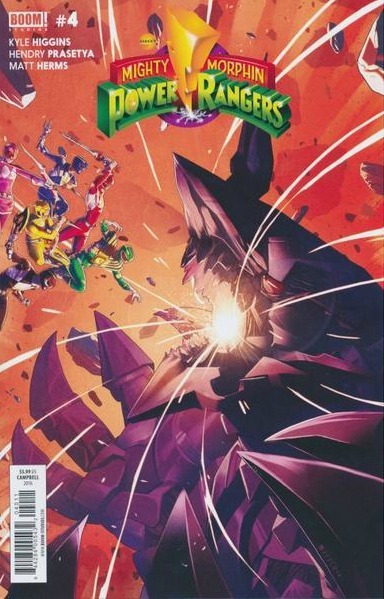 It’s quite obvious that Kyle Higgins was an MMPR fan growing up, and as such is a perfect fit to write this series. How can you tell? Because he’s showing us things we always wanted to see on the show, and taking us places we’ve always wondered about. 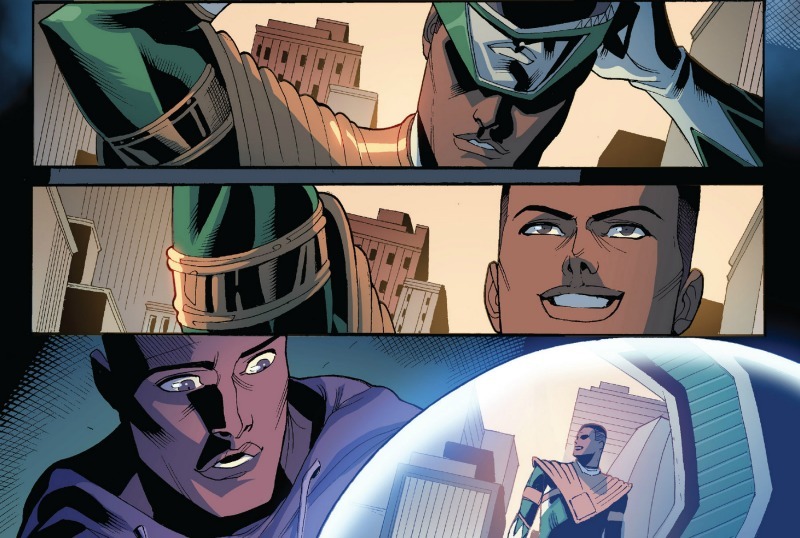 Case in point, Mighty Morphin Power Rangers #1 shows is the inner workings of the Dragonzord, and then gives us a confrontation inside Tommy’s home. It’s not easy being the Green Ranger. Tommy continues to be plagued by visions of his former master, Rita Repulsa. What’s more, he’s having trouble getting the Dragonzord to respond to his commands, tensions are rising between he and his teammates, and now Rita’s minion Scorpina has invaded his home. Something’s got to give. Unfortunately, it may be Tommy himself. Last issue ended with Scorpina appearing in Tommy’s room. In this issue she ups the ante, threatening his oblivious mother. This was one of those logic holes in the TV series. “Why doesn’t Rita just go after them at home and attack their families?” While it’s unclear why Rita hasn’t tried this before, it’s clear she’s crossed a line. Tommy neutralizes the threat to his family quickly by simply hitting his communicator and grabbing Scorpina, teleporting them somewhere isolated, presumably in Angel Grove Park. I’d enjoy knowing how he did that. Did he just have to think of the park? Our opening scene also expands on the events of the show, as we see Billy and Trini working inside the Dragonzord. 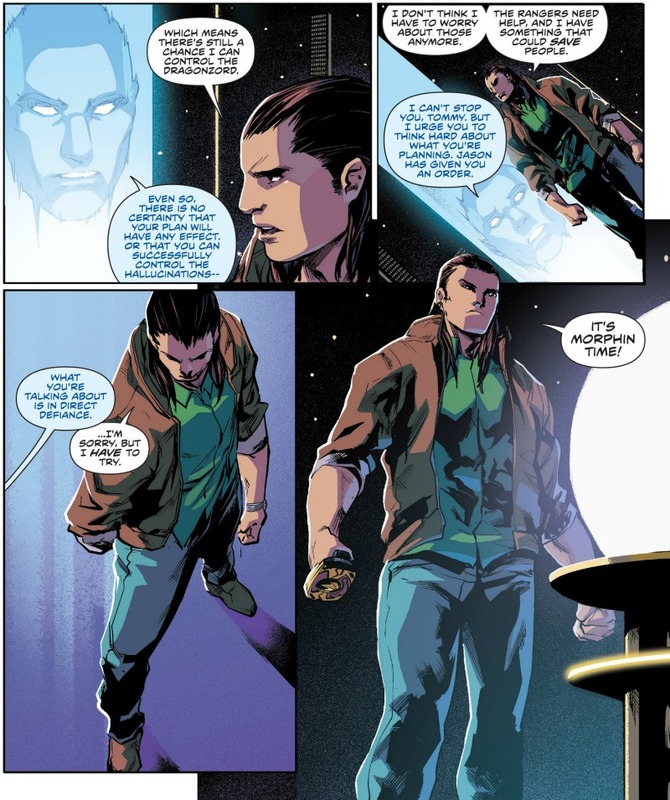 We also get an exchange in which Billy self consciously refers to Tommy as “another fighter,” clearly feeling left out and inadequate by comparison. This leads to Trini giving him a pep talk, in which she calls him “the most amazing person I’ve ever met.” If you watch the old shows, there always seems to be a touch of romantic tension between Billy and Trini, even through I suspect it’s not intentional. Are we finally going to see that addressed here? If Higgins and Prasetya are game, I’m game. Prasetya continues to excel at drawing Power Ranger style action sequences, and Power Rangers stuff fin general. His rendering of a sleeping Dragonzord (shown right) is absolutely gorgeous. The quieter dialogue scenes also come off better in this issue. The character acting hasn’t been Prasetya’s strong point thus far. He seems more comfortable when he’s allowed to be more cartoony, i.e. Bulk & Skull scenes. But with characters that have to play it straight, like the teens, Prasetya struggles. 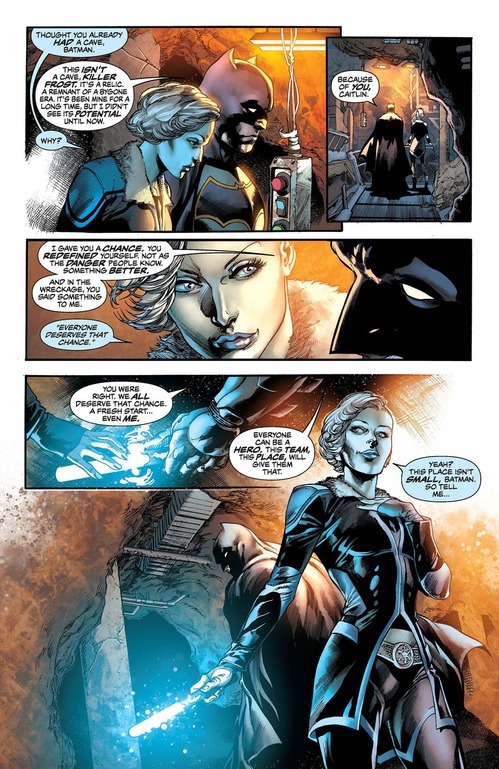 But the exchange between Trini and Billy is strong. There’s also a two-page scene that simply consists of Kimberly meeting up with Jason after a karate class, which is well done. Naturally, I suspect as Prasetya spends more time with these characters, the better he’ll get at this sort of thing. Higgins understands their personalities (or at least what the show established of them) to a T. So the pressure is on him to keep up. As expected, we also get more of “The Ongoing Adventures of Bulk & Skull” from Steve Orlando and Corin Howell. I can’t say I’m in love with this stuff, but it’s harmless fun. 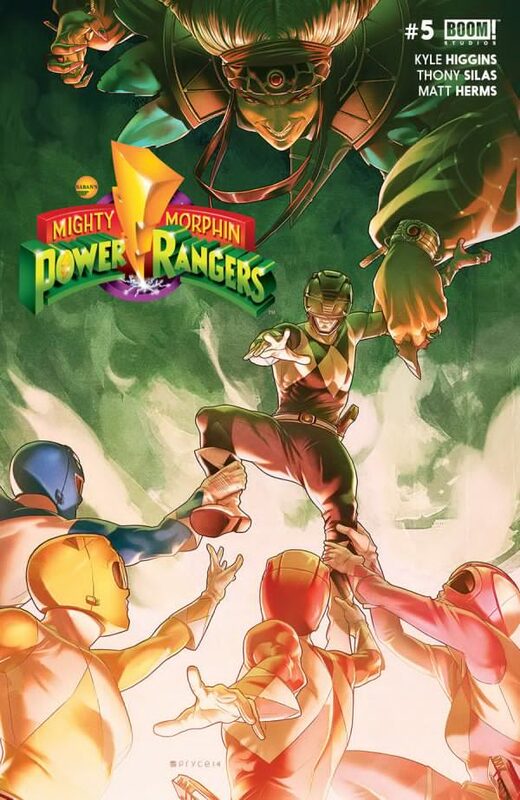 Higgins’ writing style for Mighty Morphin Power Rangers definitely evokes memories of Chris Claremont’s work on Uncanny X-Men, and Marv Wolfman’s work on The New Teen Titans, both monumentally successful teenage superhero books. 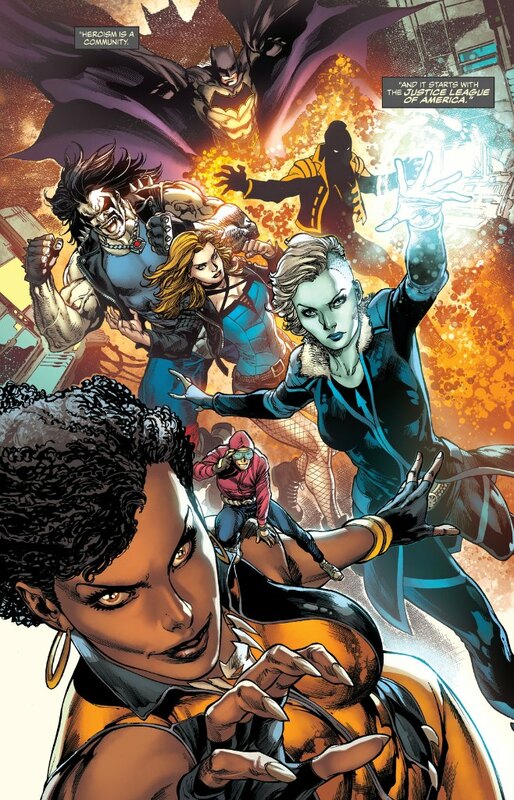 The presence of a “danger room” last issue not withstanding, Higgins has established a surrogate family dynamic among the Rangers, which has been an integral ingredient to the story he’s telling. Given the tone of the TV show, that’s a great way to play things. As history indicates, it opens some great storytelling doors. Hopefully, this is only the beginning. Image 1 from snappow.com. Image 2 from tokunation.com. This entry was posted in Comic Books/Graphic Novels and tagged BOOM! Studios, Chris Claremont, comic book reviews, comic books, Corin Howell, Dragonzord, Green Ranger, Hendry Prasetya, Jamal Campbell, Kyle Higgins, Marv Wolfman, Mighty Morphin Power Rangers, Mighty Morphin Power Rangers #2 (2016), Power Rangers, Rita Repulsa, Rob Siebert, Scorpina, single issue reviews, Steve Orlando, superhero comics, superheroes on 04/08/2016 by primaryignition.